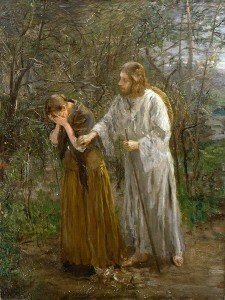 Mary Magdalene stayed outside the tomb weeping. And as she wept, she bent over into the tomb and saw two angels in white sitting there, one at the head and one at the feet where the Body of Jesus had been. And they said to her, “Woman, why are you weeping?” She said to them, “They have taken my Lord, and I don’t know where they laid him.” When she had said this she turned around and saw Jesus there, but did not know it was Jesus. Jesus said to her, “Woman, why are you weeping? Whom are you looking for?” She thought it was the gardener and said to him, “Sir, if you carried him away, tell me where you have laid him, and I will take him.” Jesus said to her, “Mary!” She turned and said to him in Hebrew, “Rabbouni,” which means Teacher. 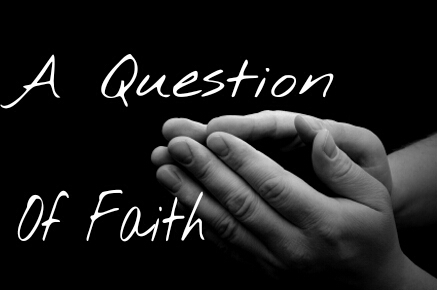 Yesterday Mr. Daly gave us some insight into the confusion and doubt and wonder that the friends of Jesus were experiencing after his passion and death. What is going on here? Is it really true? Can it possibly be? And the verses that I just read also give us a similar insight, only a day or two after the execution of Jesus. Isn’t this a remarkable scenario? Mary Magdalene, the long-time friend of Jesus, his biggest fan…did not recognize him! We (I) have just pronounced that we are in the presence of God. Do we know that? Mary, the dear friend of Jesus, did not know that she was in the presence of God. I, for one, certainly get it. 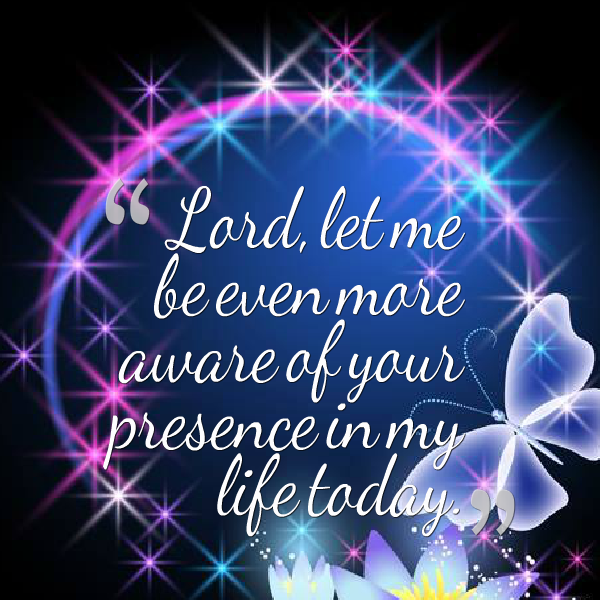 I know that I have not recognized God’s presence many thousands of times in my life. I am indeed sorry. And where is God? Of course, Jesus told us in no uncertain terms. Jesus did not mention finding God in a cathedral or a house of prayer, although that is possible, indeed. But Jesus did say that God is found in our brothers and sisters, especially in the least of our brothers and sisters. I have often failed to recognize God in my home room, in my math classes, in my own family. So let us look carefully and eagerly for God today. In home room. In classrooms. In ARC. In the cafeteria. At practice. Our great God surrounds us with his creatures, especially his fragile, needy creatures. These ones are our path to peace, and to salvation. Let us look for those in need – in need of friendship, in need of confidence, in need of a smiling greeting. Because that is where Jesus is. and we will respond with gratitude for the opportunity to do God’s work. Dear Jesus, our Savior, our Brother, we give you thanks for sharing with us, your humble sisters and brothers, the wisdom of your ministry, the passion of your cross, and the glory of your resurrection. May each of us always find You in each of your creatures, especially the most weak, the most sad, the most angry. And in those findings, give us the grace know you are with us. Let us pause and remember we are in God’s holy presence. Do you believe me? Or do you doubt? On the board in front of you is “The Incredulity of St. Thomas” by the master Italian artist from the Baroque period, Caravaggio. Caravaggio was known for his realistic portrayals of humans and for his use of light. He was also well known for his religious-themed masterpieces. As a result, for the past 2000 years, St. Thomas has been given a fair share of grief. We judge his lack of faith, and we gave him a nickname with negative connotations. It doesn’t matter what he did before – like follow Jesus around as one of his best friends. Or what he did after – journey outside of the Roman Empire to places as far as India, according to tradition, to preach Christ’s gospel. We remember him for that one brief moment of doubt. 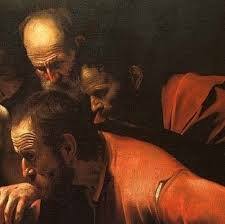 What I love about this painting is that Caravaggio captures something that went unsaid in John’s Gospel, but that I bet was true. And it is an important truth for us today. 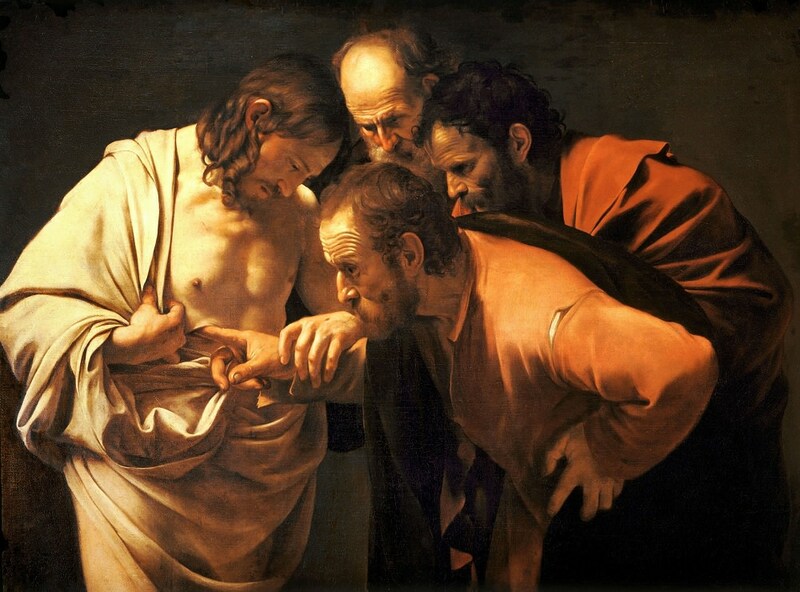 While it is easy to focus strictly on Jesus and Thomas, with Jesus gently helping Thomas to touch the wound in his side and the expression of awe on Thomas’ face, I like to focus on the two men standing behind them. I don’t know who they are – maybe Peter and John – but notice that they’re not standing off to the side, disengaged from the action. They are all up in this scene trying to get a good look at St. Thomas as he pokes and prods the Lord. The reason I love it is because I bet the other disciples, even though they were there to witness Christ risen the first time, still didn’t fully believe what they were seeing. I imagine that Jesus caught those fools staring at his hands and feet quite a bit over the next 40 days. And I bet if any of them were not present, that they would have doubted too. And so do we, don’t we? I know that if I believed more fully, more perfectly, that I’d pray more. And I’d treat people better. Judge less. Be more generous and less selfish. 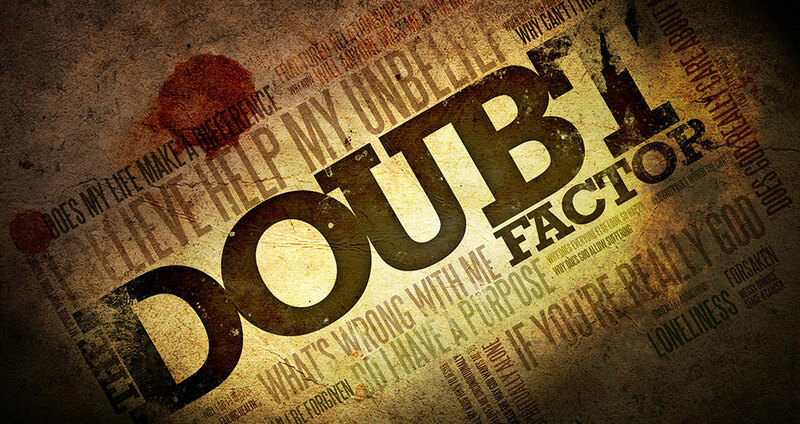 But I doubt. I doubt the importance of it all. I doubt my own abilities to enact change. I doubt God’s willingness to help. 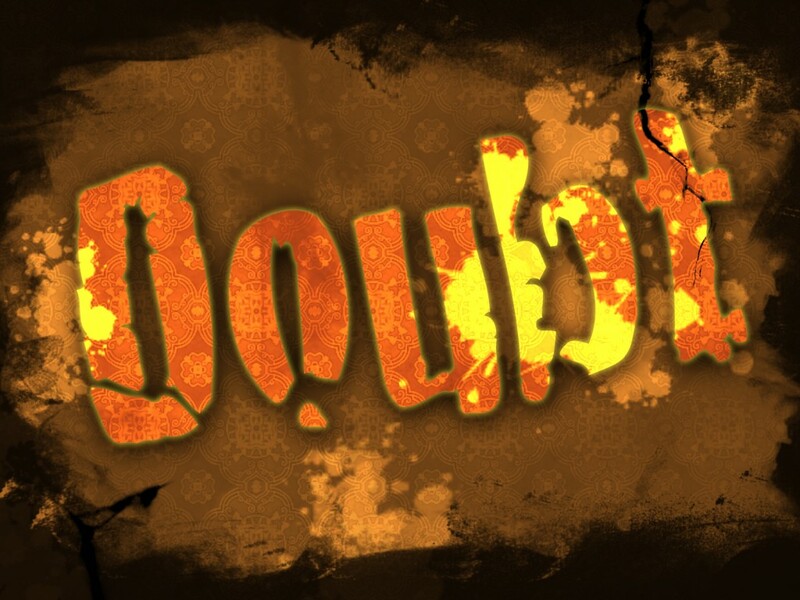 It’s especially easy to doubt with so much tragedy in the world. So I try not to judge Thomas. In fact I try to act more like him – look at him! He doubts, yes, but he also explores his faith. He is open to God’s wonder. He puts himself in the Lord’s hands. He’s not afraid of being proven wrong. He cares enough to question. Let’s keep that spirit moving in our own lives this Easter season. Lord we lift your name on high. Lord we love to sing your praises. We’re so glad you’re in our life. We’re so glad you came to save us. You came from heaven to earth to show the way. From the earth to the cross, our debt to pay. From the cross to the grave, from the grave to the sky. 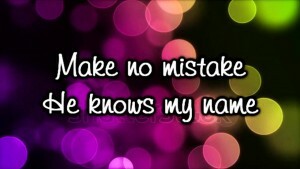 Lord we lift your name on high. St. John Baptist de La Salle…pray for us. 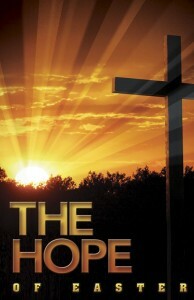 Lent is drawing to an end; Easter is 10 days away. 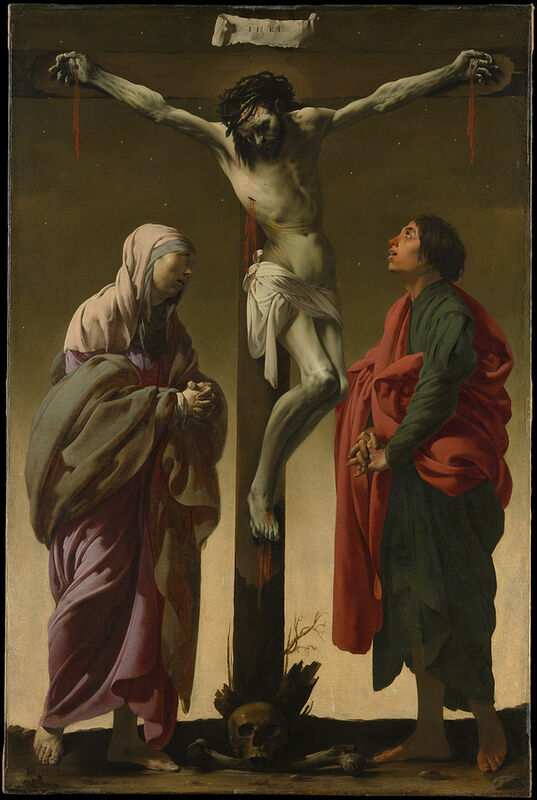 For prayer this morning I invite you now to close your eyes and picture Jesus at his crucifixion, hanging from the cross. As you do, I ask you to listen to this short reflection. As Jesus hangs on his cross he obviously endures physical pain—the lashings, the long uphill climb carrying the cross, the thirst, the nails in his hands and feet, the inability to catch his breath. 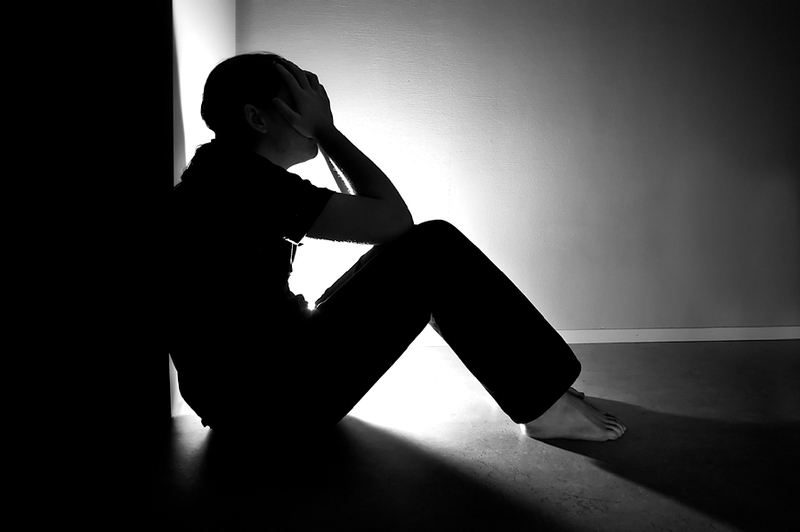 However, this morning I would like us to reflect on another kind of pain Jesus was enduring—a psychological and emotional pain, the pain of being rejected and feeling abandoned. On Palm Sunday (which we commemorate this coming Sunday) Jesus enters triumphantly into Jerusalem, acclaimed as king by the crowds. 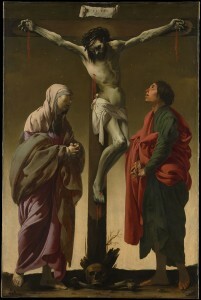 On the following Thursday (Holy Thursday) Jesus, with an inkling of what was to follow, kneels at the feet of his disciples, his chosen ones, his closest friends, and washes their feet as a servant would and then celebrates Passover with them, promising them the gift of his body and blood forever. Jesus then goes to the Garden of Olives to pray to his Father that his life might be spared—his three closest disciples are invited to pray with him but they fall asleep three times. 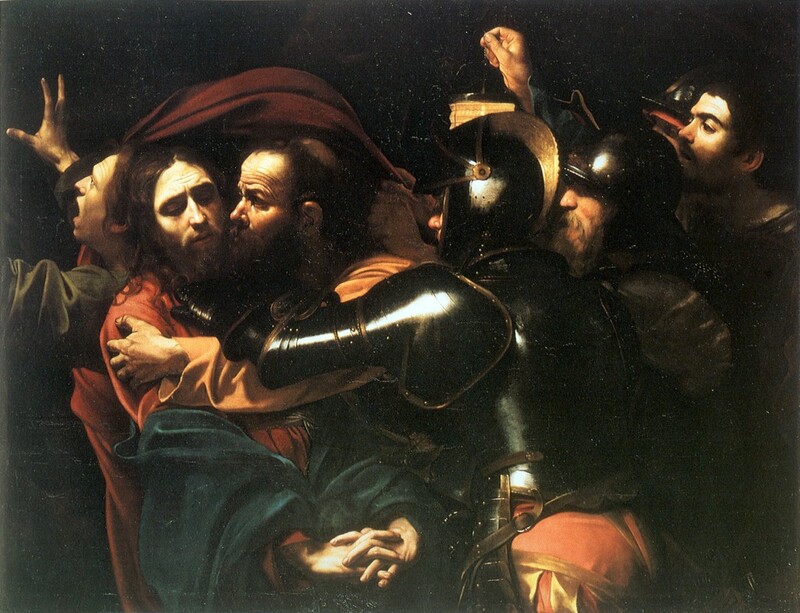 He asks them—“Can’t you stay awake and keep me company, support me?” Another disciple approaches him, embraces him and kisses his cheek in betrayal; the soldiers surround him and bind him; his other disciples flee in fear. Jesus faces his enemies alone. During the next hours Jesus is taken from Chief Priest to Chief Priest—accused, mocked, punished. Another disciple, Peter, stands a bit away from the action in a courtyard warming himself—Jesus can probably hear him three times denying that he even knows Jesus— betrayed by the very one he had chosen to lead the disciples. Then in front of Pilate, the Roman magistrate, Jesus, having been whipped and crowned with thorns, is shouted down by the very crowds that had acclaimed him a few days earlier: “Crucify him! Crucify him!” And Pilate does order the crucifixion. Along the way to the Place of the Skull where he is to be crucified his disciples, except for John, are nowhere to be found. The crowds jeer him as he falls 3 times. On the cross the soldiers make fun of him; one of the others being crucified with him throws insults at him. 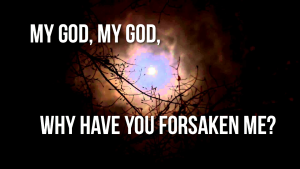 Alone on the cross—betrayed by his disciples and friends—and then Jesus calls out in despair: “My God, my God, why have you abandoned me?” Jesus experiences the ultimate abandonment — abandoned by his God. Where do we go with these deep pains? 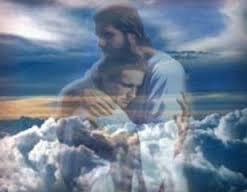 At these times we might want to give our hurt and betrayal and abandonment to Jesus. 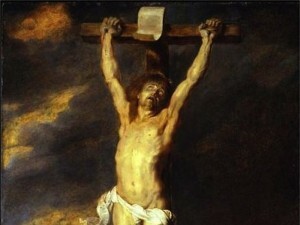 Ask him: Jesus, please carry our crosses along with your own cross—you know our hurt; you experienced our abandonment. 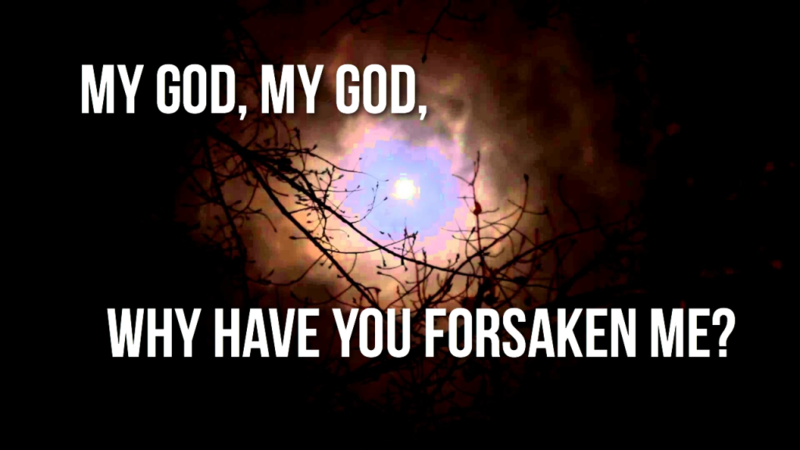 And then we might ask Jesus: Please fill us with the mercy and forgiveness that filled you that day on the cross. As we near Holy Week and the remembrance of Jesus’ triumphant entry into Jerusalem, his washing of feet and blessing of bread and wine, his suffering and death, his glorious resurrection, let’s not hesitate to bring the joys and hurts of our own lives to Jesus. 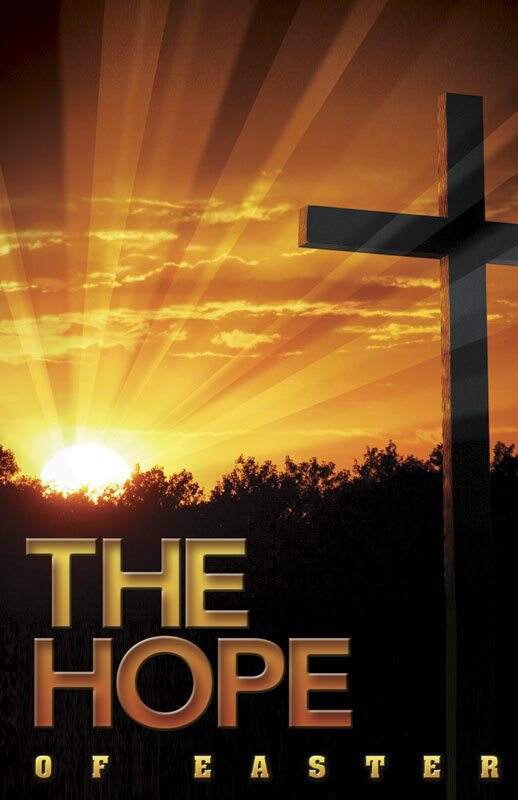 In that way maybe on Easter, more than Easter eggs and chocolate bunnies, we too like Jesus might experience the exhilaration of new life and new hope. Let us pray in the words of Jesus on the cross: Into your hands, Father, we commend our spirit, we give over our lives with all the good and the bad, the happy and the sad that our lives now experience. Amen. Live Jesus in our hearts…forever. Let us remember that we are in the holy presence of a loving God. This past weekend was the beginning – the weekend where the earth warms with spring and everything smells new and sweet and is filled with life. As I ran through my neighborhood this weekend, I couldn’t help but notice all the people out gardening. 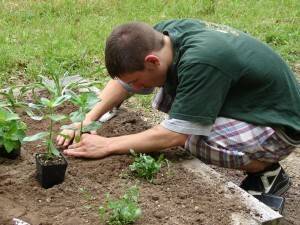 It reminded me of an incident that occurred about ten years ago in which my family made some poor planting decisions. We were late in our gardening that year, but still determined to recreate the garden we had produced the previous years. My father went to the florist for advice and seeds. “This late in the season, you’ll have to go with some easy-growers. Tomato will work. 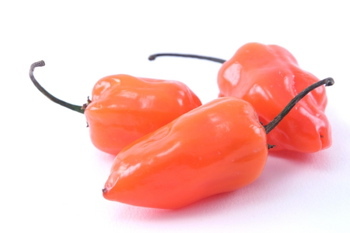 And probably this…” the florist said, handing my father a packet of habanero pepper seeds. 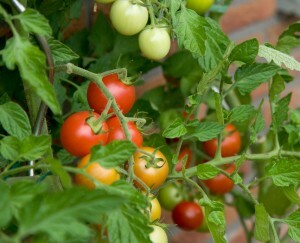 We planted and they grew, and by mid-summer we had a vibrant harvest of bright red tomatoes and orange habaneros. But we soon discovered the peppers were far too hot for human consumption. My father was the first to bite into one. Almost immediately beads of sweat formed on his reddening face. He spat it out quickly. “No one eat those!” he warned. So we left the peppers where they were and harvested the tomatoes until the autumn. When the leaves began to change color and collect on the ground, we traded our shovels for rakes and began the task of clearing the yard and the garden. As was typical, we raked everything into one giant pile in the middle of the back yard. 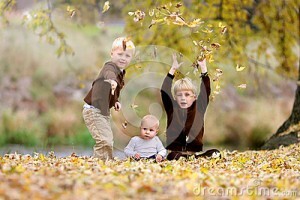 In true fall fashion, some of my brothers ran and jumped into the pile. They threw handfuls of leaves at each other, had leaping contests, and then we picked up the leaves with gloved hands, placed the contents in the leaf bags and brought them to the front of the house. As we entered the house to rest from our labors, my brothers began to wince. “What’s wrong?” my dad asked concerned and confused by their sudden onset of pain. “I feel like my skin is on fire,” replied one of them through gritted teeth. “Yeah, and my eyes,” said the other rubbing them both with his hands. The peppers we had never harvested had dried on the vine and fallen to the ground, only to be raked up with the leaves. Their potency had come back to haunt us. Sometimes we forget what seeds we plant. Every decision holds consequences. 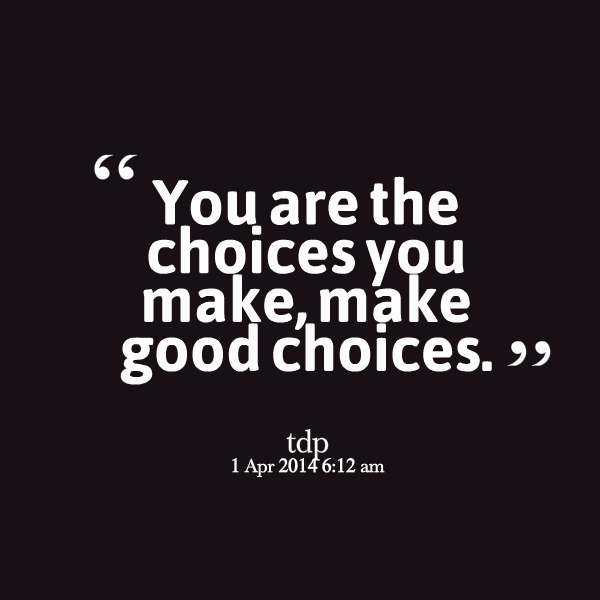 We must always bear in mind that we are responsible for our actions. And we must not act out of ignorance. Sure, for my family it was just a matter of peppers. We wanted something to grow and we knew that habanero would but we didn’t know that that would mean. In life, if we are not careful, if we do not investigate what sort of repercussions our choices will yield, we can end up hurting others or ourselves. Every day we each encounter the easy way. We can find ourselves tempted to plant the seeds that will be easiest to grow, to tell the lie that will get us out of trouble, to copy someone’s homework because we totally forgot to do it ourselves, to remain silent as our friends tell racist jokes, to watch our peers bully others. But in each of these scenarios there are also more challenges choices we can make. 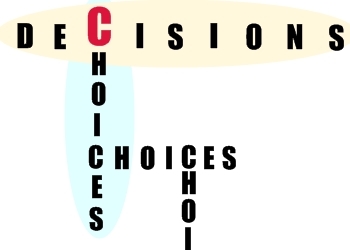 Choices which may not seem well timed for our popularity, comfort, grades, or status. But whichever road we choose we must also bear in mind that we plant seeds every day. And while at times we may feel the effort is not worth it to cultivate the choice worth making – the more difficult choice – we must always remember that what we do or don’t do – say or don’t say – we are responsible for what grows and blooms and burns. Heavenly Father, guide us not to plant the seeds of convenience. And if we do, help us to deal with the consequences responsibility. 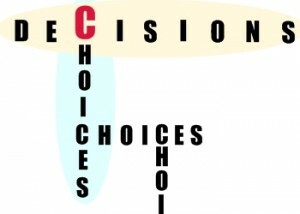 As we make choices each day, give us the strength to do what it right – even though it is seldom easy. Throughout the course of a year we have many traditional days of celebration. We celebrate different federal, religious, traditional, personal, and informal events. Just yesterday we heard a beautiful prayer from Mrs. Estes about the celebration of International Women’s Day. But lately, I have been hearing about days of celebration that I had been previously unaware of. Just this week I had students tell me that Monday was National Cereal Day and yesterday was National Pancake Day. 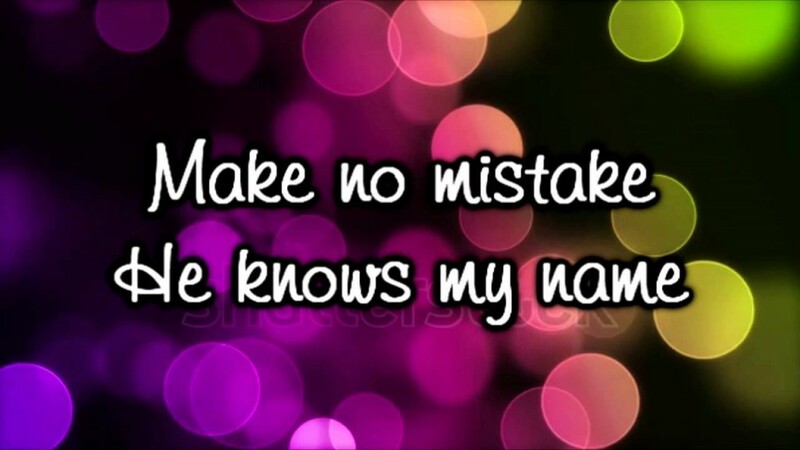 Now don’t get me wrong…. 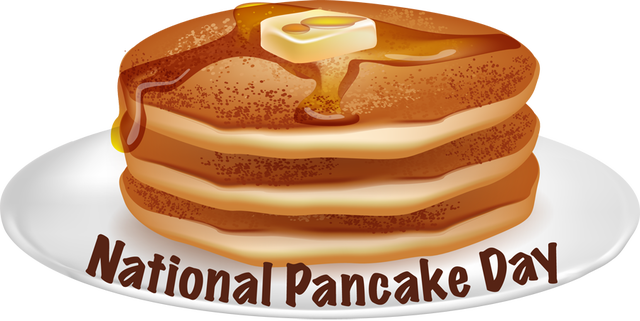 I love cereal and pancakes but I didn’t know that they were special enough to have their own day of celebration. It seems almost daily there are different foods, drinks, pets, activities, etc. that have their own days of celebration that are being posted about on Facebook or other social media outlets. In case you’re curious, today is dedicated to the celebration of Barbies, crabmeat, meatballs, and registered dietitians. 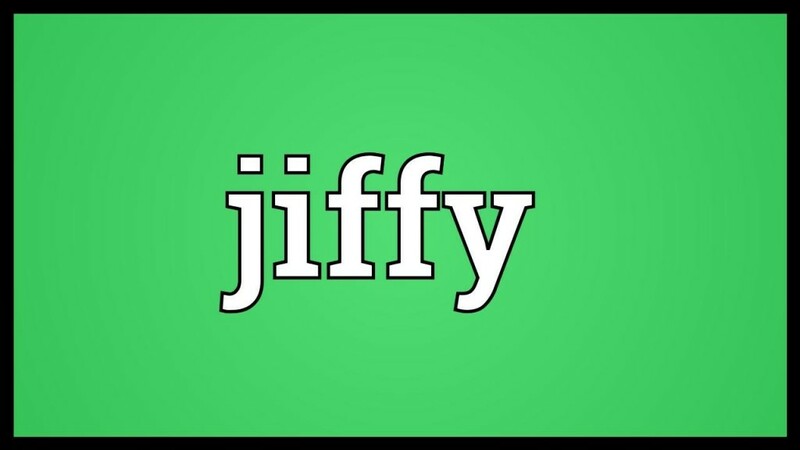 And for all you juniors and seniors…. be prepared, because Friday is National Promposal Day. The tag line that was used on the website where I found these unique days of celebration was #celebrateEveryDay. This is a positive message for us to hear because it reminds us that every day is special and a gift from God. However, if we are able to devote a day of celebration to cereal and pancakes…. perhaps we should reflect on our own personal triumphs in our daily lives and find a reason to celebrate something, big or small, that we accomplish every day. We could call it National “YOU” day. Often we focus on what we need to change or improve in our lives…. 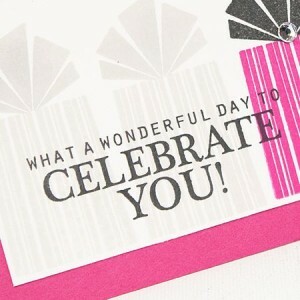 rather than take time to reflect and celebrate all the wonderful accomplishments that we make in our daily lives. 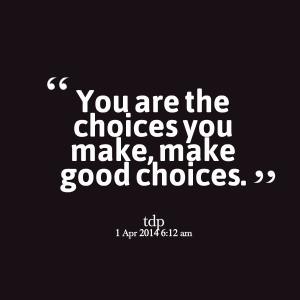 So I challenge you to celebrate yourself today…. 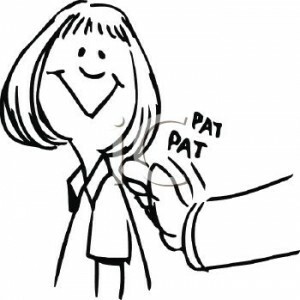 think of something positive that you’ve done and give yourself a pat on the back. Don’t focus on your shortcomings or failures but rather your successes and triumphs and use those to have the confidence to be proud of who you are. Perhaps the new tag line could be #CelebrateYourselfEveryDay. 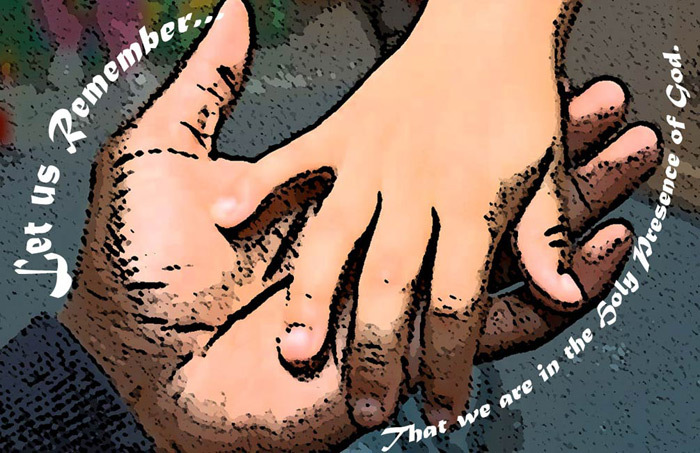 Help us to remember that we were all created in Your image and likeness. Have mercy on us and forgive us of our sins. Allow us to look past our shortcomings and celebrate our lives so that we can give glory back to You. Amen. Most people don’t know this about me, but I am the first female on my mother’s side of the family to go to college. My mom grew up on the tiny Portuguese island of San Miguel, in the Azores off the coast of Portugal and did not come to the U.S. until she was 18 years old. 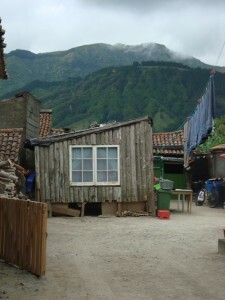 She has told me countless stories of living in destitute poverty: not owning shoes until she was 14, getting a bag of orange peels for Christmas, and living in a tiny house with a dirt floor. I find all of this mind boggling. Mostly because I stand in such a different place economically. As a college educated member of the American middle class, I enjoy comforts and luxuries my mother could have never even dreamed about fifty years ago. I am grateful for my lifestyle, but mostly I am humbled by the sacrifices so many of the women in my family made for me to standing where I am. And I try not to forget them or their legacy. ● According to the World Health Organization, one in three women worldwide will experience physical or sexual violence in her lifetime, usually at the hands of a male she knows. 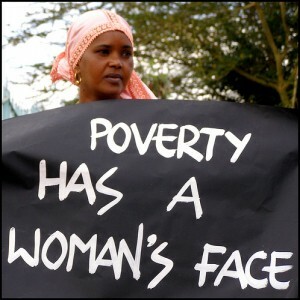 ● Girls bear the brunt of global poverty. Nearly 75% of girls in developing countries like Bangledesh, Mali, or Niger are married by the age of 16 and never attend school. ● And in the US, women who work full time make 78 cents for every dollar earned by her male counterpart. So while girls and women have made progress, we have much work still to do. This morning I ask you to consider how you might help the girls around you achieve their ambitions and dreams? How can you challenge gender bias when you see it in action? And how can we together create more inclusive communities? 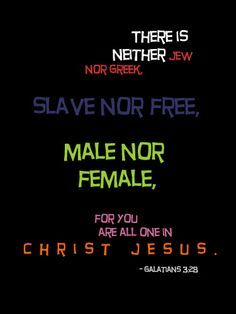 Or borrowing St. Paul’s words to the Galatians, how do we move beyond gender stereotypes and recognize that in Jesus, “there is neither male nor female” and that we are all one in Christ. help us to do our part and move beyond false assumptions and mistaken beliefs about gender. Help us to create a world that is safe for girls and women everywhere. Help us to see that every woman we meet is someone’s daughter or sister. Gracious God. You desire the fullness of life for all of your children. And until this is a reality, help us work tirelessly for your kingdom. 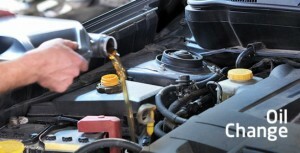 Get Your Spiritual Oil Change! Today I am taking my freshmen Religion students to the Brother’s Chapel to celebrate the Sacrament of Reconciliation. Some of my students have never seen a confessional or Reconciliation Room before, so in class I was trying to come up with a metaphor to help them understand the sacrament and the human need for forgiveness. After trying the penalty box in hockey or getting grilled by Dr. Phil, I finally settled on an “oil change” for your car. Every time I trade in my old car or get a new lease at the dealership on Route 6 in Seekonk, my salesman Scott always reminds me, “Get an oil and filter change every 3,000 miles, and you won’t have any major problems.” I believe we can apply Scott’s words of advice, to our spiritual lives. 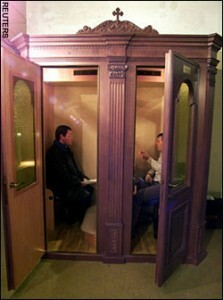 Think of “going to confession” as part of your “spiritual maintenance agreement” with God. 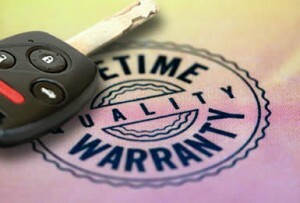 He offers you a lifetime warranty to fix anything in your life, if you let him. That’s the “manufacturer’s” promise, but now you have to keep up your end of the deal. If you’ve been baptized a Catholic, you should go periodically to the sacrament of Reconciliation to fulfill your part of the warranty, or covenant. In the same way that you need to change the oil and filter every 3,000 miles for your car, you need to follow a regular schedule of preventative maintenance for your spiritual life. You might think, “Oh my life is running just fine. I don’t need any scheduled maintenance.” But without realizing it, you can let impurities slip into the oil of your school life, or your relationships might get heavy, thick and dark, and your engine (that is, your soul) won’t run at peak efficiency anymore. Maybe the pistons in your spiritual engine are starting to struggle a bit or the gears are starting to grind. If you don’t take care of your spiritual engine, you will eventually wear out. 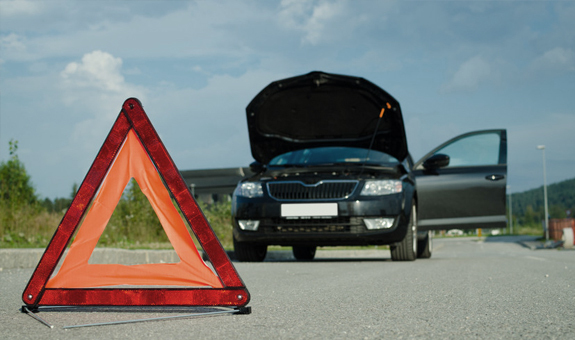 You’ve seen those people pulled over to the side of the road in distress, with their emergency flashers on, the hood up and the “check engine oil” light on. That can happen to your spiritual life, if you don’t take time, to keep up with the regularly scheduled maintenance. So whenever you’re personally feeling a little dusty and grimy and you have to take a deep breath, or when your acceleration is feeling sluggish, go to confession—it’s like getting a personal oil and filter change. 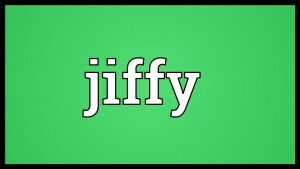 In a jiffy, you feel like a new person, gearing up with God’s help, to get back in the road race called life. Merciful Father, please give us the will-power to step forward and receive the grace of your forgiveness in the sacrament of Reconciliation. It’s not easy to admit our faults, but give us the courage to examine our consciences honestly so that we might turn away from sin, and turn back to You, Lord Jesus. Holy Spirit, help us complete our penance and works of charity in this Year of Mercy. 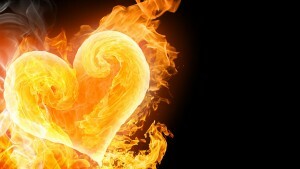 Enkindle the fire of your love in the hearts of your faithful. ST. JOHN BAPTIST DE LA SALLE. Pray for us. LIVE JESUS IN OUR HEARTS. Forever! Is it wrong to discriminate against someone for their body type, ethnicity, economic status, religion or gender? I would like to believe that as twenty first century Americans we can easily answer: Yes, it is wrong to insult someone for something that they cannot control. From a general standpoint, we have made significant leaps in the last century to move towards eliminating discrimination, and we nurture this equality belief in our Lasallian community. We embrace diversity, world religions and overlook race and gender. However, Americans tend to fall short when they hit this question: Is it wrong to discriminate against someone based on their inborn intelligence? While many of us would say yes, our actions oftentimes contradict that “yes” when we directly or indirectly treat people with intellectual disabilities as our inferiors. In 2010, President Obama signed a bill replacing the words mental retardation in all documentation with intellectual disability. Unfortunately, the rest of the country did not follow suit. In 2016, we accept everyone regardless of their differences from the societal norm, or at least refrain from outwardly insulting someone, however we make an exception for people with intellectual disabilities. 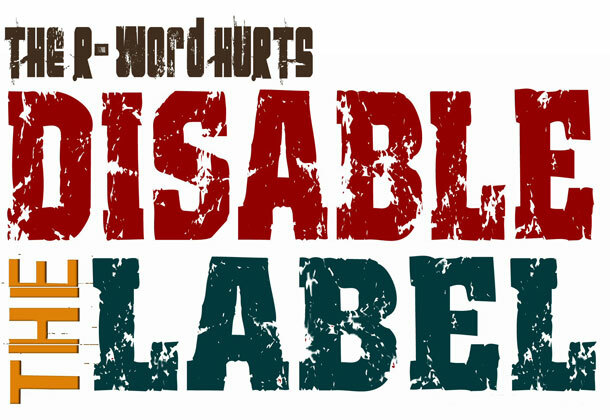 We comfort ourselves when we use derogatory phrases with the belief that “no intellectually disabled person is around”, and that “it is only an expression”, but our language plays a role in the way we treat the dignity of others. 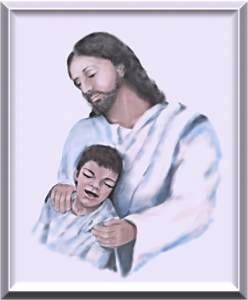 Intellectually disabled people have the ability to love, to experience pain, pleasure, form relationships with others and are made in the divine image of God the same way everyone else was. God has an active plan for their lives, and they often bring great joy to the people they encounter. As it says in the book of Proverbs, “Speak up for those who cannot speak for themselves, for the rights of all who are destitute. Speak up and judge fairly; defend the rights of the poor and needy.” Tomorrow, March 2, is the international Spread the Word to End the Word Campaign day. At all lunches, our friends from the Meeting Street School will be visiting La Salle. There will be a banner in front of the cafeteria for the student body to sign, pledging to stop using the R-Word in a derogatory manner. Take this opportunity to make a personal decision to remove the R word from your vocabulary. The R word retarded means by definition, “less advanced in mental, physical, or social development than is usual for one’s age.” It does not mean foolish, stupid, ridiculous or any of the derogatory meanings we give it in every day conversation. People with intellectual disabilities are our peers, our friends and our brothers and sisters in Christ, and they deserve the same respect that we give everyone else. 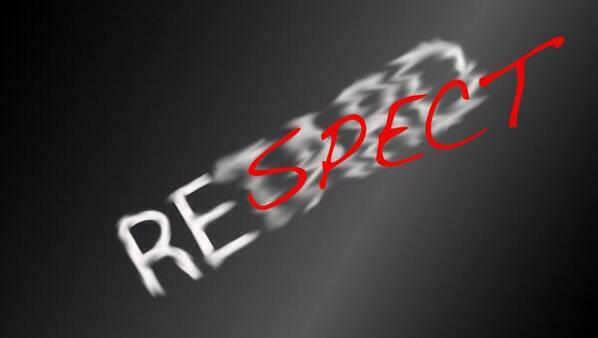 The only R word we should be using is respect for everyone, regardless of their intellectual disability. Lord, when you died on the cross for the world, you did not discriminate. Give us the eyes to see you in everyone we meet, especially those with intellectual disabilities. Give us hearts of compassion for those who are suffering in any way and give us the grace to treat every human life with dignity and respect, for we are all the works of your loving hands, and you do not create mistakes.